A destination beach wedding is a truly memorable event for both the couple and their guests. You’re given an intimate ceremony, a breathtaking backdrop for pictures, and can even combine your wedding and honeymoon! Pulling off a flawless event at the shore comes with a unique set of considerations to recognize before sending out your save-the-dates. Here are the top 5 secrets to help as you start planning your destination beach wedding with ease! Before you jet off to a foreign land to marry your partner, it’s important to set a realistic budget for both the wedding and for your guests. Depending on when and where you’re looking to elope, prices can often fluctuate based on seasonality and high tourism dates. The average wedding in Canada is $30,000. The average destination wedding is only $7,000, but the actual cost will be determined by your wish list and your must haves. You can blow your budget immediately by not determining the number of guests attending before selecting your wedding package. Consider this: when you choose your wedding package, a set number of guests is included, but you pay an extra per person rate if you go over. A bride and groom last year came to me with a budget of $5,000 for the wedding. They planned to have 100 people attend. With the resort and wedding package they chose, it was not possible to stay within budget because the wedding package only included 30 people. With a per person rate over the package base of $65 per person, that left only $450 for the other elements of the wedding! The further you fly the more expensive it tends to be. Time of year can also play a big factor in your guest budget as well. When envisioning your perfect day, deciding on a private event where you have the exclusive use of the property will require a higher budget. Other additional fees for premium locations at a resort such as a rooftop terrace or private beach can be required, so make sure you ask in advance. Basic décor set up is usually included in your quote, but if you want any extras be sure to include them in your budget. This can increase your budget as a wedding package usually only includes a limited number of people. If you’re planning on more guests, you’ll need to increase your budget, your wedding package or both. If you choose an all inclusive resort, you know what is included, but choosing European plan, where your meals and drinks are not included, will be something to consider for both you and your guests. Wedding dress, hair, makeup, etc. These are items you’ll certainly want to add to your budget. Hair and makeup can usually be provided by the resort but be sure to ask about costs. These costs are extra and they should be, since choosing a photographer is like selecting art ; everyone has different taste. Be sure to research the resort photographer as well as any others you’re considering on your own. If you choose to bring your own, be sure to ask the resort if they charge vendor fees for outside vendors. You are welcome to ship some items for the wedding in advance, but be sure to ask whether there is a fee to store them until your arrival. Also, compare the cost of shipping with taking another checked bag. We caution any bride and groom when shipping items in advance because there is always a possibility that your items won’t clear customs or get to the destination in time. You have to be aware of this. In addition to listing everything that goes into creating your budget, another important step is to hire a certified destination wedding planner to assist you when officially booking your event. A destination wedding planner can help you budget yourself before the planning even begins! The ocean presents one of the most beautiful ceremony and reception settings, but you must understand what each destination’s beach has to offer in order to guarantee the wedding of your dreams. Los Cabos is known for its beautiful walking beaches which host some of the most amazing weddings, but you can’t swim in the ocean in front of most resorts due to the undertow. Paradisus Los Cabos is one of the only swimmable beach resorts in Los Cabos. Depending on where you’re looking to travel, beach seasons vary by geography. Here are a few things to consider when choosing a beach for your event. If we know not all beaches are created equal, how do you understand the difference between a white sand beach and a brown sand beach? On the Caribbean side you have white sand beaches with the turquoise waters, but they can come with unstable weather and wind. On the Pacific side, you have brown sand beaches with darker blue water, but you get more stable weather and very little wind. Not only is the color of the sand important, so is knowing if the beach is rocky, family friendly, whether the resort has sand breaks or even seaweed. All of these factors change things dramatically for both the bride and groom and guests as well. Consider which elements are necessary for your wedding photos, desired color scheme, the weather and if shoes will be optional! 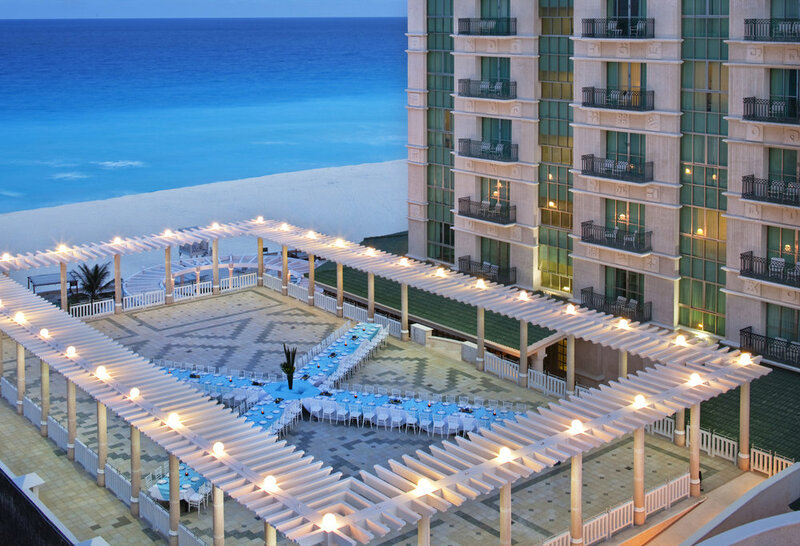 What makes destination beach weddings stand out from any other type of nuptial location? The pictures! The amount of daylight, what time of day, and your desired look can all be affected by your destination. Often when we ask our brides and grooms to describe the perfect day, they will start with the beach and the weather. If you’re set on a sunset wedding, whether or not the resort faces the right direction is critical. A sunset wedding may be impossible. Remember to choose your resort because it fits your vision; looking pretty comes after. Last year one of my wedding couples wanted to get married in Puerto Vallarta They dreamed of a sunset ceremony in December. The problem was that the location and time they had chosen would not give them what they were looking for. The resort they had chosen prior to meeting with us was on the wrong side of the cove, so they wouldn’t get that dream sunset ceremony. There’s a chance that the best beach wedding weather may take place during high tourist seasons. Unless you have a non-negotiable date for your wedding, research the peak and off-peak seasons of the beaches you have your eye on. Be sure to review your budget for the perfect time to travel and know that during Christmas or Spring Break it will be busy. Taking the time to research yearly weather patterns of your top destinations will help you decide the best time of the year to get married. As much as you may believe the rain is your #1 enemy at a beach wedding, wind and heat can be just as worrisome! All outdoor elements of the wedding should have an acceptable plan B identified before securing your resort. Make sure this works for your vision because it will change the look of your perfect day. A Helpful Tip: Don’t forget your flowers! Not all types of flowers are big fans of the hot sun, and they can be tricky to work with. 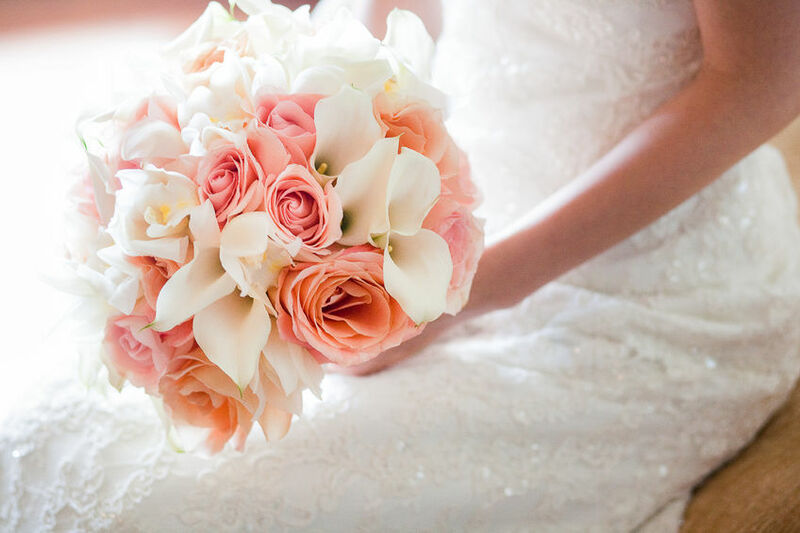 Choose flowers that not only compliment your wedding design but can also hold up in the heat. Options we love for beachfront events include freesias, calla lilies, orchids, and pastel colored succulents. Also keep in mind that not all flowers are easily accessible around the world. It is recommended to choose colors more than flower type. There is a big difference between a resort that does weddings and a wedding resort. Just because a resort says they can do weddings, doesn’t mean they are good at what they do. Having a resort that can offer you a wedding package that allows for customizations and changes if it doesn’t fit your design is critical in making sure your day turns out the way you want it to. Don’t just look at the wedding package and think “that will work” because more often than not, it doesn’t, and you will incur additional costs to create what you have dreamed about. If a private reception or dinner is important, make sure you understand exactly what’s included when looking at wedding packages. Not all wedding packages include a private reception. This can become very costly when you include location, setup and clean up fees as well as a per person rate. If this is a top priority for you, ask all of the details for a private reception ahead of time so there are no surprises. 5. Travel Agent or Wedding Planner? Planning a destination beach wedding from thousands of miles away takes a lot of organization, clear communication with vendors, time management, and many deep breaths. You can spend hours working with vendors and wedding coordinators when planning a destination wedding, or you can ask for help. Enjoy the planning process more with the help of a professional. When looking at which professional makes the most sense to help you plan your perfect beach wedding you will need to determine whether to use a Travel Consultant, a Wedding Planner, or both. A certified travel consultant’s role is to provide you and your guests travel support to ensure everyone gets to the wedding safely. They will be able to give you sound advise on the travel components and some may be able to offer resort advice. 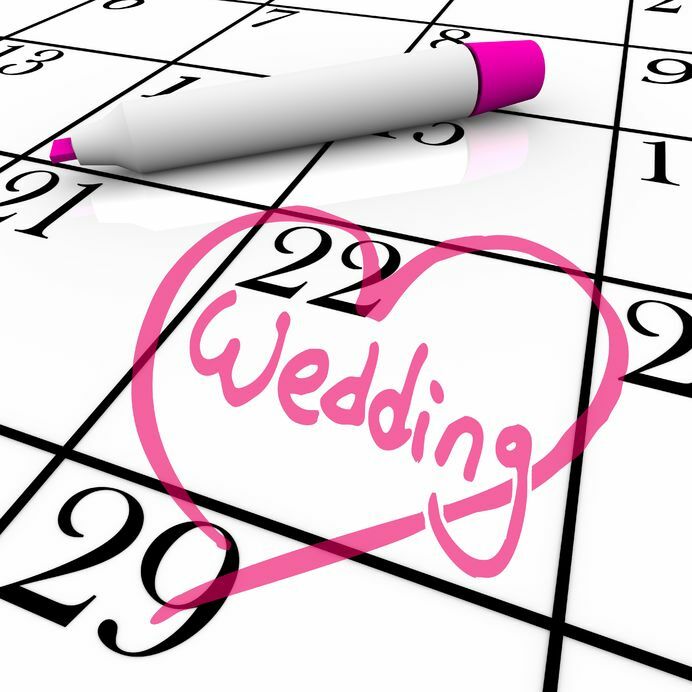 Most will set up the wedding date and time at the resort you chose and then introduce you to the wedding coordinator at the resort to work out the details of planning your wedding. Travel consultants may not have a strong understanding of wedding packages, ceremony and reception locations and areas where you can save you money on your big day, so inquire about these important elements before deciding on who to work with. Most work only with the travel component in mind, so be sure you’re prepared to take on all the planning yourself. A certified destination wedding planner will guide you to the perfect look and design of your wedding. They will give you planning advice and recommendations on how to save money, etiquette on traditions and they can ensure that the location you picked has all the perfect elements. They also work directly for you, so your interests are the top priority. Their focus will be 100% on the wedding. Destination wedding planners understand the resorts very well, will have visited most of them and know what can be negotiated and what things a resort is firm on. They will have vendor lists to assist when you need something specific or costs are too high at the resort. 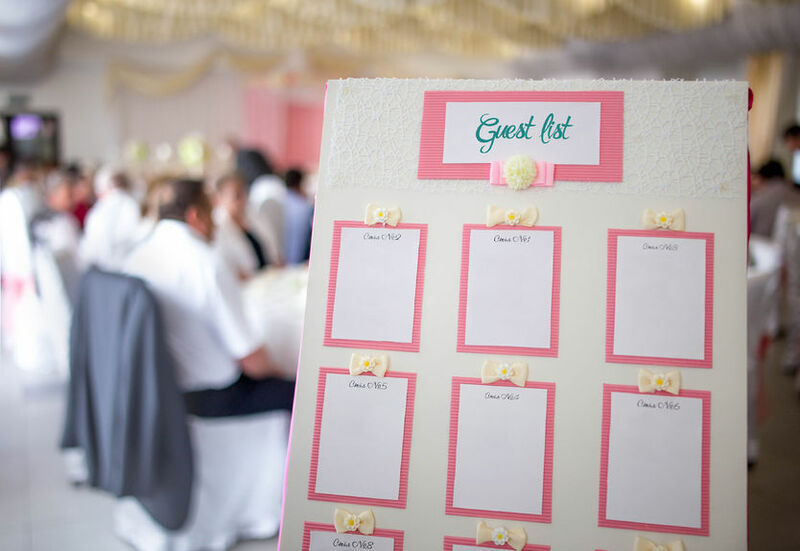 You should also hire a wedding planner for off site locations to ensure timelines are laid out correctly and you aren’t missing any pieces that can ruin your special day. A planner will have local vendor contacts that will be a lifesaver when planning from a remote location. A certified destination wedding planner and travel consultant is the ultimate find. They can offer the best of both worlds. They will offer sound advice on the resorts to choose from and understand the destination weather patterns and sunsets. They will also consider your budget in its entirely when guiding you in decisions for the wedding. They will consider all elements, not just the trip or the wedding. They can work with you to choose the right location based on your wish list and want list for that special day, and offer great advice on the wedding packages at the hotels, without sacrificing the travel needs of your guests. A certified destination planner and travel specialist will understand the needs of your guests travel and consider other options if something doesn’t work. They will have a vendor list in destinations and many contacts that can help if you need something special. Destination weddings are stress-free and less expensive than a traditional wedding as long as you know what to look for. It is important to consider all of these steps before securing your destination, resort or venue to ensure the vision of your special day is everything you ever dreamed of. It can be when you have the right professional in your corner.